Following a series of retail design projects for Selfridges and Villa Moda, the practice was commissioned to design the Headquarters of Four Marketing Fashion Group and a house in north London for one of the Directors of the company. 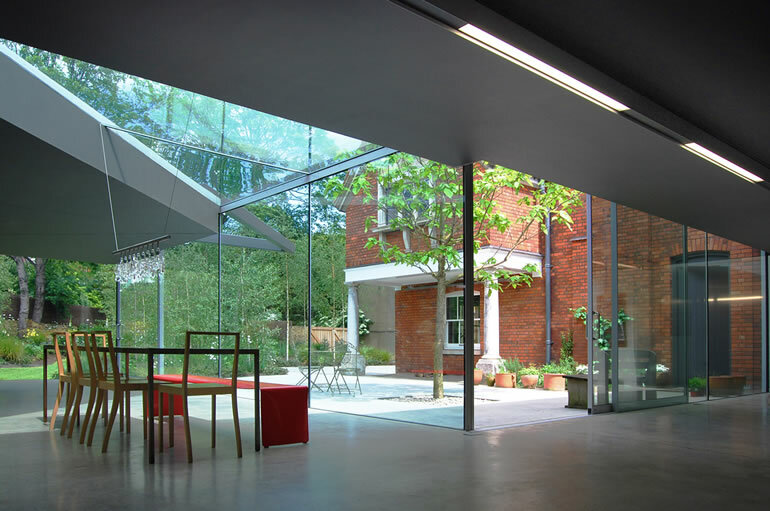 Working with a triangular site, formerly the nursery garden to the Eton Estate, the practice was responsible for the refurbishment and extension of the existing red-brick proto Arts and Craft house. 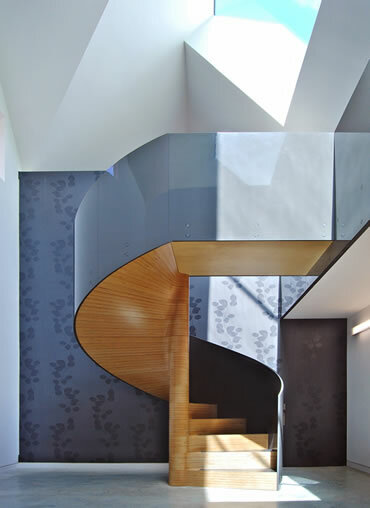 The exterior of the house appears to have been faithfully restored but in fact has been seamlessly remodelled and extended to create a generous double-height entrance space leading to bedrooms and bathrooms for the family and guests. 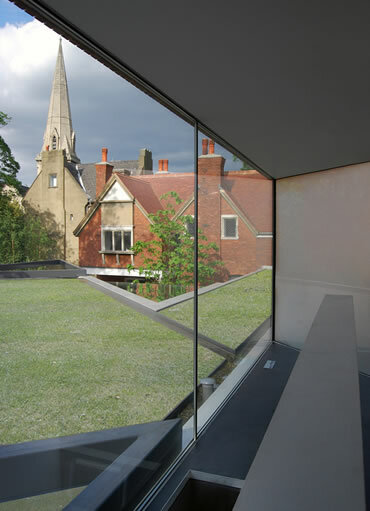 In addition a contemporary extension forms a protected courtyard and follows the dynamic triangular geometry of the site to create glazed kitchen, dining and living with a study space perched like a tree house at the upper level overlooking the green roof. The new roof structure is supported on four internal columns only with long cantilevers only possible by the fabrication of the roof as a stressed skin with steel plates welded to the top and bottom of the structural beams. 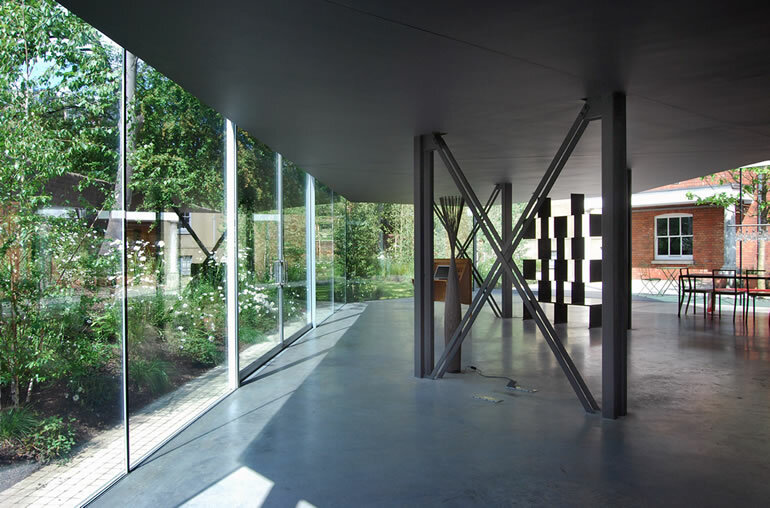 As a result, the outside wall is an uninterrupted ribbon of full height glass and sliding glass doors which open onto a green landscape designed by one of Eldridge London’s collaborators over a number of years, the acclaimed landscape designer Jinny Blom. 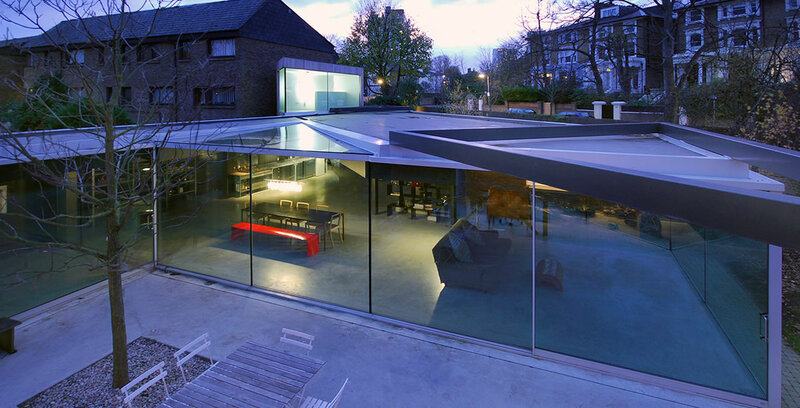 This house in the Eton Conservation Area won a Royal Institute of British Architects RIBA Award.